Luxury Cars For Sale Oakville – Budds’ BMW Oakville. At Budds’ BMW Oakville, we have a massive inventory of luxury cars for sale Oakville. Our superior driving machines and our professional and friendly customer service make Budds’ BMW Oakville a first choice if you are looking for luxury cars for sale Oakville; we will not disappoint. Our representatives take the time to get to know our clients and realize their needs and wants in order to match them up with the car of their dreams. Our clients have a great time going through our vast selection of luxury cars for sale Oakville, and you will always be able to find the vehicle you want. 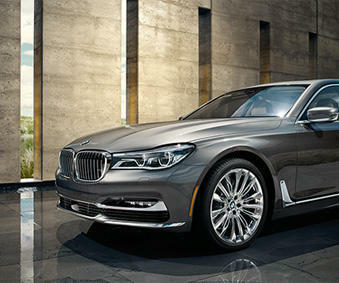 The 2016 328d xDrive is a driving machine with a balance of fuel efficiency and raw power. The price point of this exceptional driving machine is $53,949, and it is available in a Mineral Grey Metallic color. The diesel engine of this sedan offers the driver a smooth and powerful ride. This sedan is the pinnacle of luxury cars for sale Oakville, and has an upscale spacious interior that offers easy controls and innovative technology. The interior includes Black Dakota Leather with Oyster Stitching and Smartphone Connectivity, making for a sophisticated interior look and a convenient and safe hub for your mobile device. Budds’ BMW Oakville also offers you Complete No Charge Scheduled Maintenance for 4-years or 80,000 kms. Budds’ BMW Oakville provides our clients peace of mind when they drive their luxury car off the lot. At Budds’ BMW Oakville, you will not be disappointed with the quality service you will receive when looking for luxury cars for sale Oakville. We pride ourselves on offering customers the best care for your BMW vehicle using only certified BMW genuine parts. Our experienced technicians will service your vehicle while you kick back and relax in our bistro cafe, or catch up on some work in our business work lounges. We recommend that you visit Budds’ BMW Oakville to find out how we can put you behind the wheel of the car you want. Our luxury cars for sale Oakville are far more superior than our competition, and coupled with our world-class customer service, it’s a no brainer to choose Budds’ BMW Oakville.